- standard 1/4" screw can be connected directly to any stabilizer or camera with standard 1/4" screw thread. - 1/4" to 3/8" screw adapter is included for mounting to stabilizer like the Beholder ds1 or ec1. Light weight handle for dual hand operation for more control and to reduce hand fatigue, and hence it prolongs your videography time. 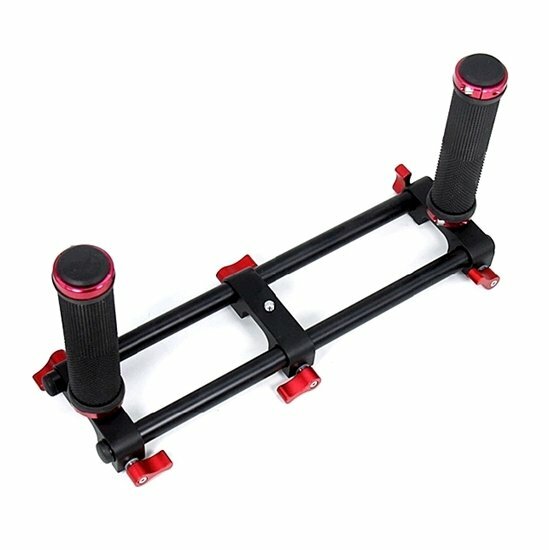 It is made of aluminum alloy, which gives the handle its robust, anti-slip and extremely light weight property (You can hardly feel any extra weight to your camera or stabilizer). Or any other brand stabilizer.